Give a HIGH FIVE for BOHRING-OPITZ SYNDROME! 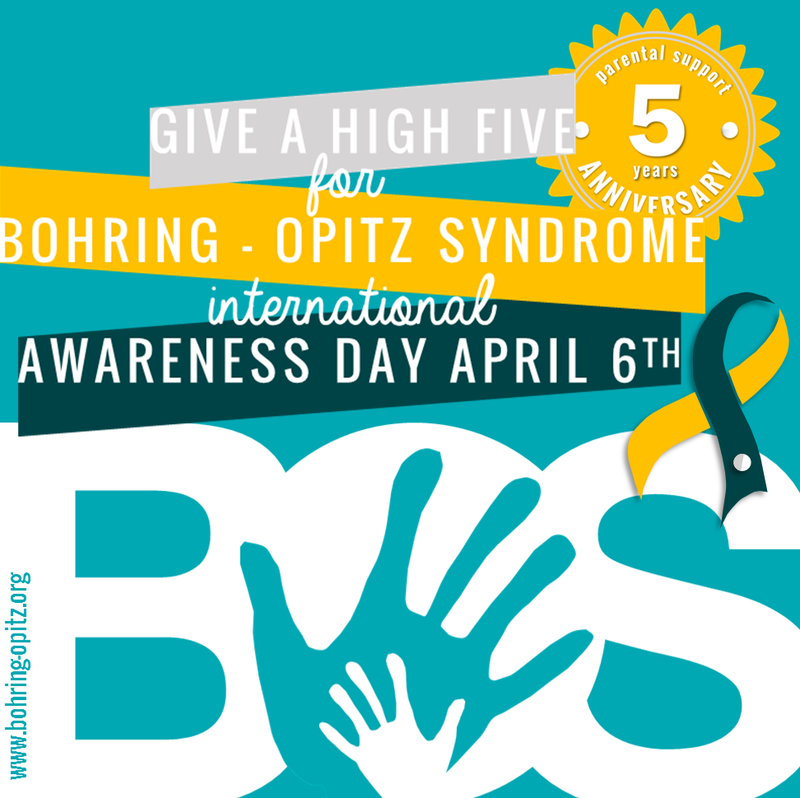 We are excited to celebrate that the Bohring-Opitz Syndrome (BOS) SUPPORT GROUP will be five years old on APRIL 6th, the international BOS AWARENESS DAY! It’s easy to participate. Join the Facebook Event and invite your family and friends. Send a virtual HIGH FIVE for children with Bohring-Opitz Syndrome and their families and friends. Feel free to use our profile picture1/profile picture2 or Twibbon profile picture or add our Facebook banner to show your support. Want to get creative? Instead of using our photo when you share on social media, create your own high-five photo or masterpiece. We encourage you to think outside the box! Make sure you use #5forBOS! Help us to bring children living with BOS and their families and carers out of isolation and put them in the spotlight by wearing GOLD & BLUE DENIM on April 6th, too! If you want to keep up with the latest developments regarding to Bohring-Opitz Syndrome we offer a number of ways to do so: Feel free to sign up below or follow us for regular updates on Facebook and Twitter. The Bohring-Opitz Syndrome Awareness Day was chosen on April 6th because that’s the day that the Bohring-Opitz Syndrome support group was created on Facebook in 2011 five years ago! This group has helped so many families to connect all over the world! Many children with Bohring-Opitz Syndrome are suffering from high myopia. Contrasting colours like blue and yellow are the best perceived colours. Bohring-Opitz Syndrome is a rare genetic condition. Less than 60 cases are reported worldwide. Blue denim is the awareness colour for rare and genetic diseases. Our children love shimmering objects like gold. And above all, our children are worth their weight in gold. The diamond is to honour all our children who became wings too early. 5 years ago on April 6th 2011 the first support group for children with Bohring-Opitz Syndrome and their families and friends were created! We are proud that parents and caregivers from all over the world come together to share important information on our Facebook forum. 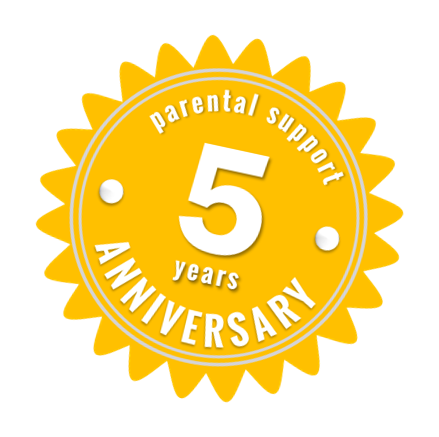 We are so thankful for 5 years parent to parent support!